Leaving Concordia was harder than expected. It was 05:00 in the morning when I came down those long stairs one last time (the same stairs I used to rush up and down casually every day during the winter). Outside the ice was dyed in lovely hues of orange, touched by the early sunlight; a peaceful and soothing illumination much in contrast with our feeling of leaving. Three pieces of luggage to carry, the rest of my stuff would be shipped back in the following months. But the heaviest thing was the emotional burden inside. I’m not going to lie – I had tears in my eyes as I stepped on the plane. It was mainly the people that I would miss dearly, not only the place that generated this internal turmoil. A lot of good friends from last winter and this summer campaign woke up early to see us off. I hugged most of them at least twice as we exchanged invitations for a future meeting. 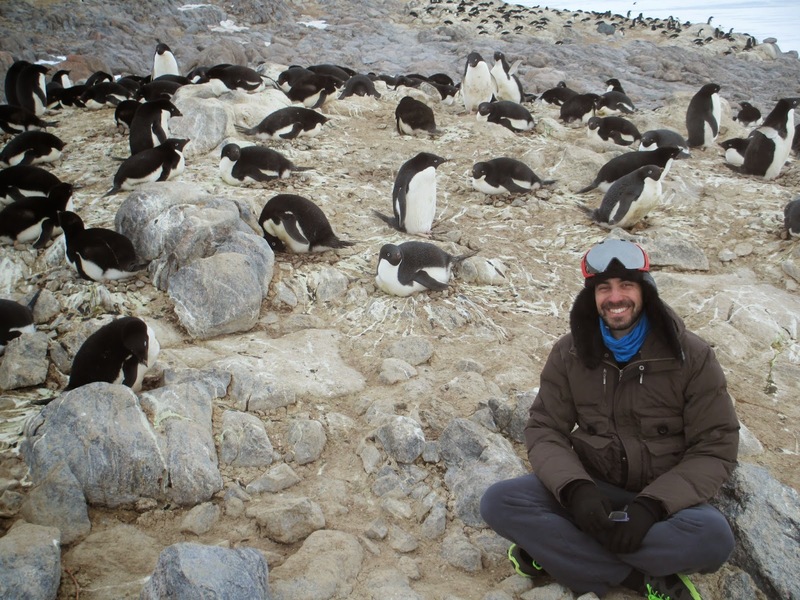 There is something shared among people in Antarctica that is not easy to explain. Some of them you know just for a few weeks, but they do constitute a part of the wondrous puzzle of your life in the cold. I recalled moments of walking on the ice every Sunday, playing basketball at -30 degrees, working in the ESA Lab, dancing at the last party. 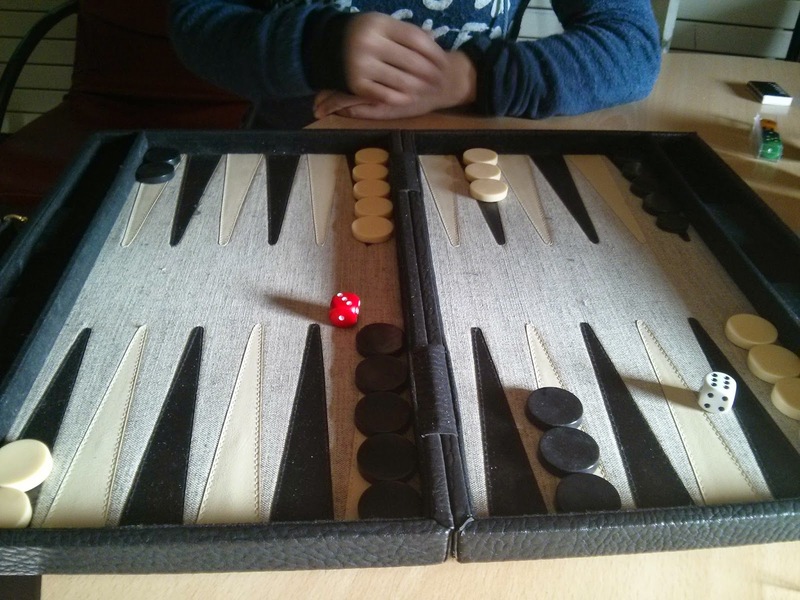 Playing tavli (backgammon), making photos and cleaning the dishes! Each of those moments a little treasure. As we stepped on the tiny airplane and the door was shut behind us, the pilots prepped the engines. It was deeply moving to see all those friends waving us off and making funny gestures. Take off. The twin towers of Concordia were getting smaller and smaller as the morning sun rays danced amidst the clouds. One year of my life, with all its experiences, winter and summer acquaintances, humorous moments and more serious ones, all the great things I witnessed and all the marvels I beheld were suddenly fading away. 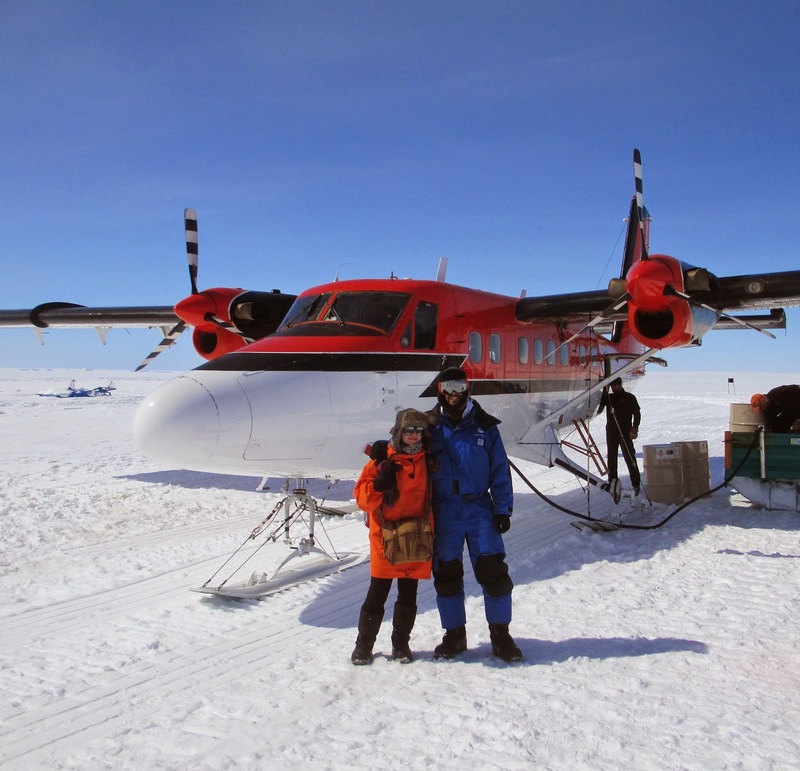 I was leaving Concordia – my Concordia. In the end it was not so different than the day when you finish school or graduate from university. There is however something more finite to leaving Dome C – and it is this which wakes you up from the routine you are accustomed to in order to throw you upon your next step in life. Picture #88 - #89: Arrival at DDU and first heli-ride. Flying in a Twin Otter was not a very comfortable experience even though we were only 4 passengers instead of 12. In part because of my emotions and in part because of the rough seats(!) I didn’t manage to get much sleep even though I was exhausted. I also recall that I did not eat my trip lunch despite knowing that it would be as delicious as all the meals we enjoyed in the winter. 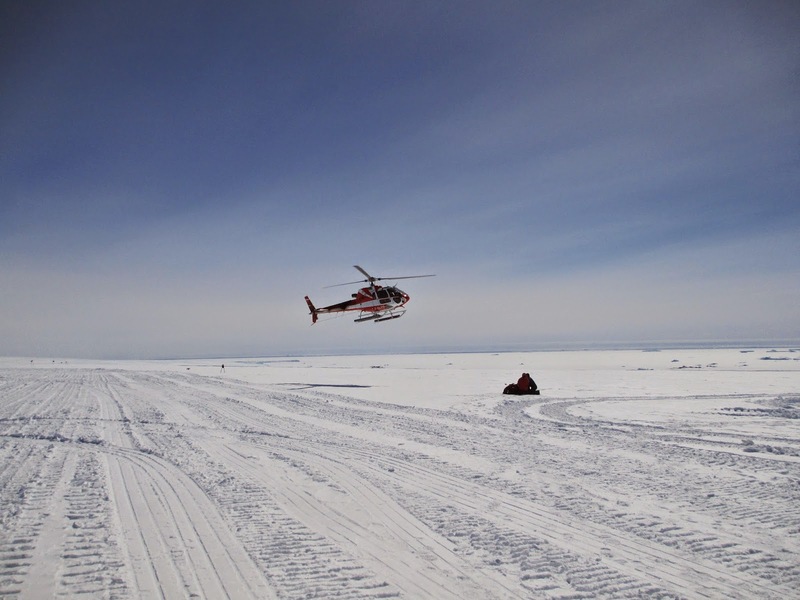 Four hours later we landed on the airstrip near the French-Italian base of Cap Prud’Homme – and from there we were immediately transferred to the coastal Station of Dumont D’Urville (DDU) nearby. I finally enjoyed my first ride on a helicopter – seeing a real landscape different than the white vastness of Dome Circe was bewildering at first. There were rocks and icebergs around me, not to mention the frozen sea and islands. Yet i felt the greatest surprise when I first noticed a snow petrel flying by. I was genuinely and profoundly astonished for a moment as the white bird glided in the air next to me. Next thing I remember were the penguins that literally live around DDU Station. 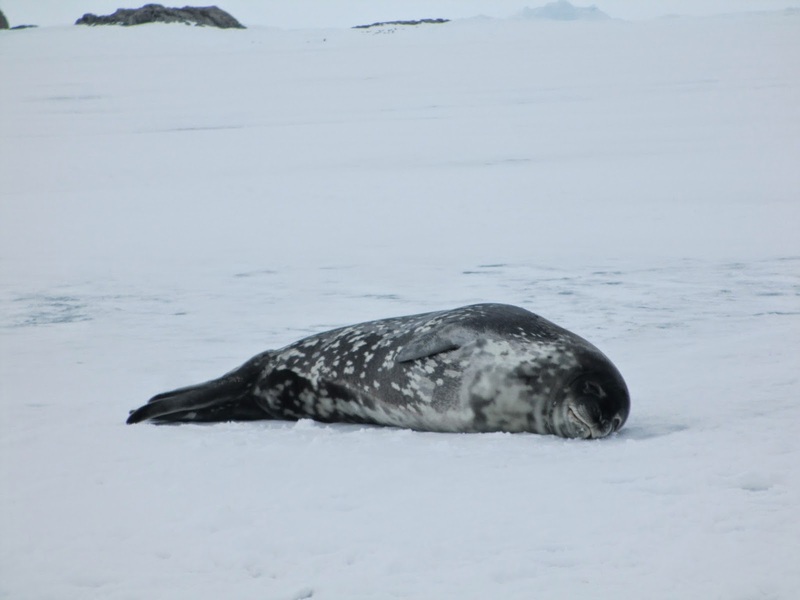 I hadn’t seen a living animal for more than year and our meeting with the Antarctic fauna was a welcoming sight. 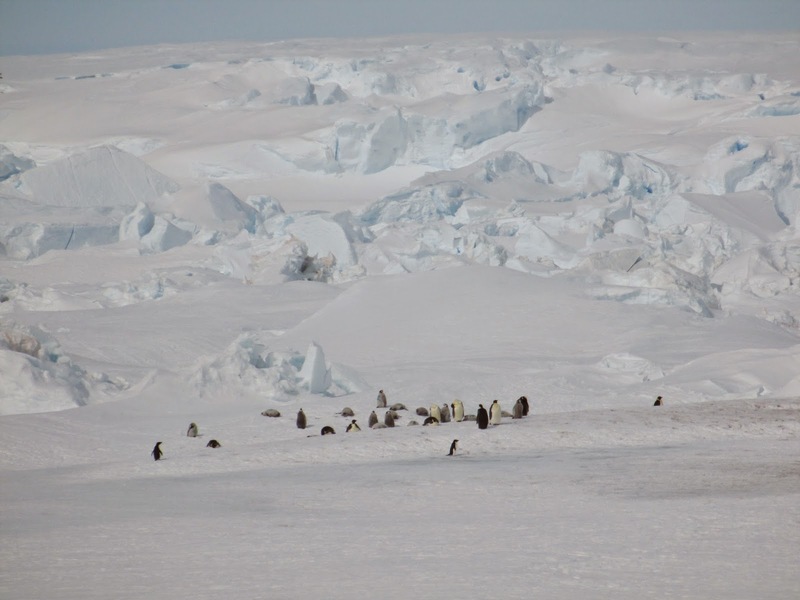 Over the next days we would visit the nesting places of both the Adelie and Emperor penguins and we would be lucky enough to observe the hatching of their eggs and the emergence of the newborn. Rejection is a very predictable human reaction when you leave something that you love behind. We ‘ve all experienced it as children, but it returns to us at moments of loss or nostalgia. 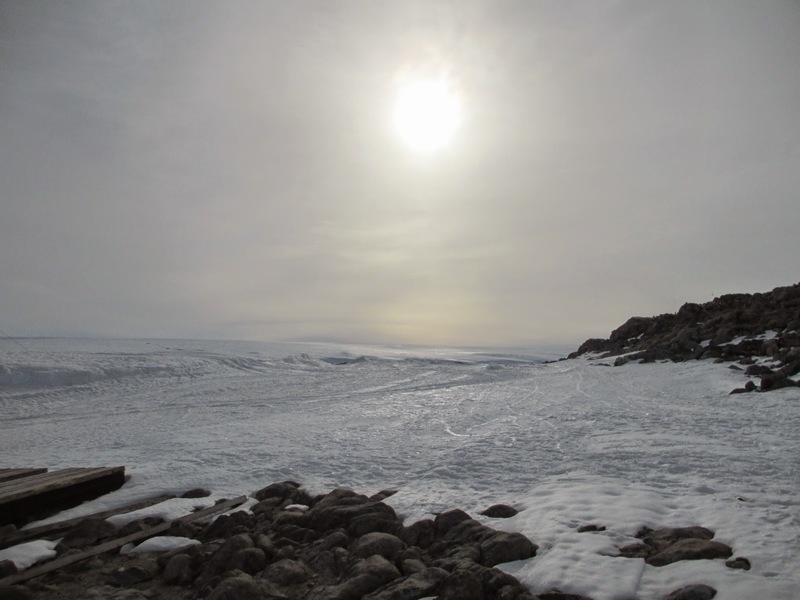 Thus it was no great surprise to me that in the first moments after landing I caught myself playing down the beauty of Dumont D’Urville’s surroundings or comparing the functions of the base to my life at Concordia. Everything seemed to be so different here, another world. The snow was actually melting as you held it in your hand and that’s something that does never occur in the lower temperatures of Dome C, where Concordia is situated. The horizon was not flat as the one I had been used to. And I cannot sufficiently describe my amazement when during a casual discussion at DDU someone mentioned to me “Oh, yes, this occurs mainly in the night”. The night? It had been two and a half months since I saw a sunset and I was definitely not prepared for such an abrupt change! 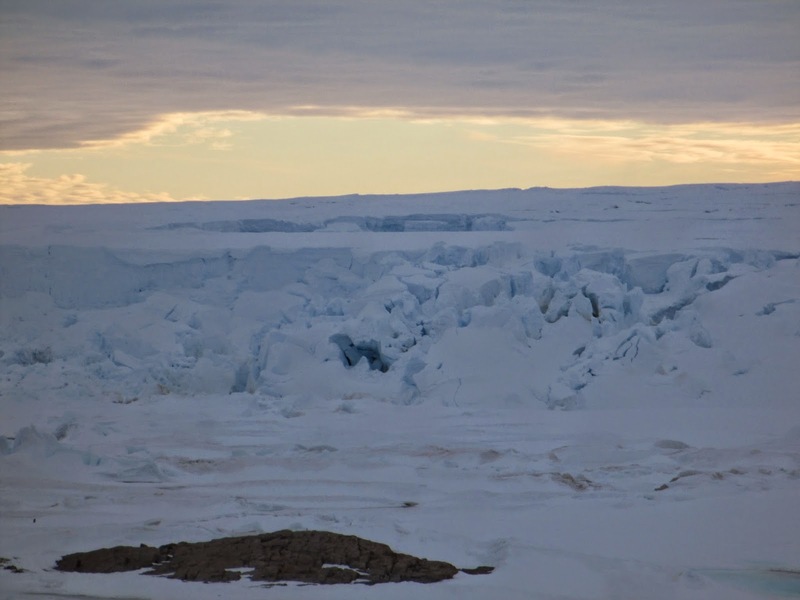 Picture #90: The landscape at Terre Adelie – Icebergs and Emperor penguins. 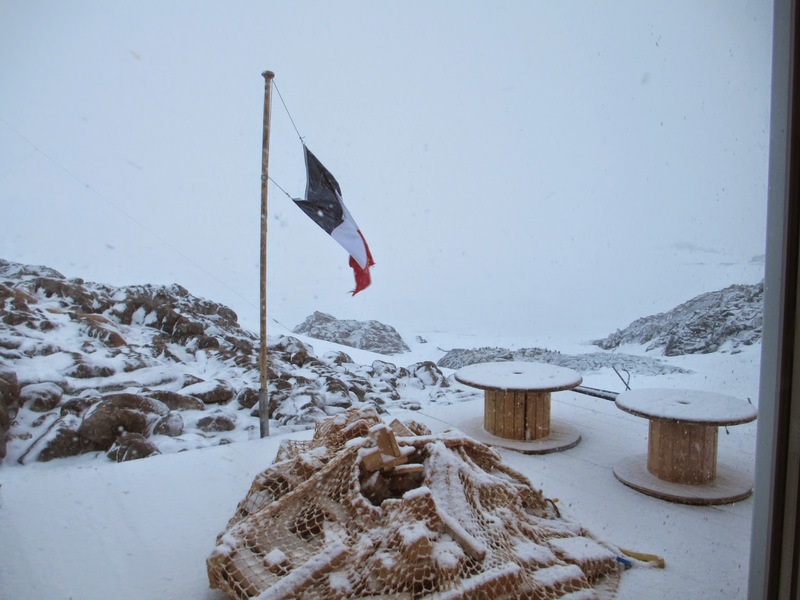 There were other subtle differences between everyday life at the coast and in the heart of the Antarctic continent. Clothes, for one: I regretted every time I used my polar suit at DDU, it was apparently too warm for the high temperatures of Midsummer there. This was actually the first time in a year that I saw an external thermometer register a positive-value temperature (in Celsius)! Also, as we no longer were at an altitude of 3200 m, moving around was much easier physically and I recall running about 10 km outside without breaking a sweat. 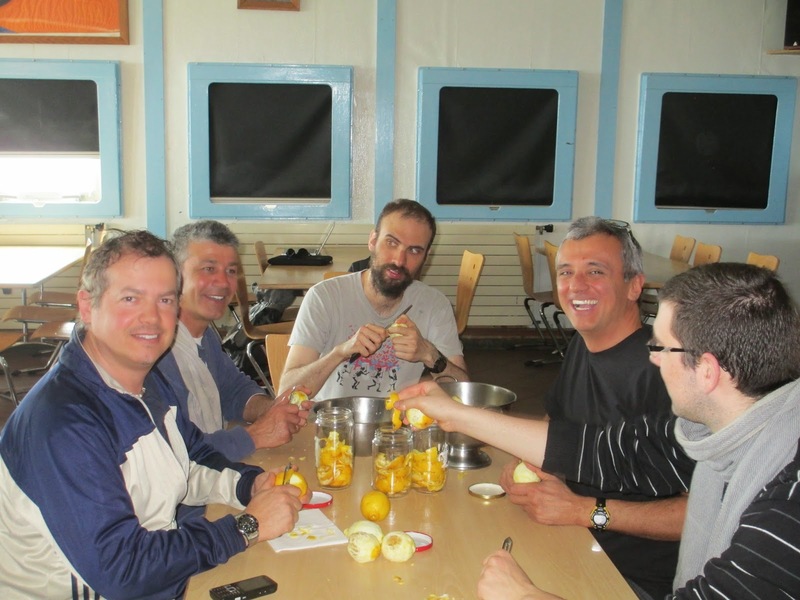 Since there is no atmospheric pressure difference at DDU, yoghurts don’t pop when opened and beers don’t explode in foam as at Concordia! Your mouth is not dry all the time and you can finally sleep profoundly and non-stop. Yet I still unconsciously maintain some of the habits I developed at Concordia – for example I do knock before touching any metallic surface to instinctively avoid static electricity! All these may seem minor, but I find that they did influence my first days at DDU quite a bit. It was the final severance of the connection with the winterover experience and all these tiny habits that I never noticed as my own practices until I lost them. I was now in transit, heading back to "normality". But going away is not negative or always gloomy. While glancing back is bittersweet, looking onward to the path that lays ahead can be inspiring. And this past can give you all the strength and determination to march on and achieve everything you need. 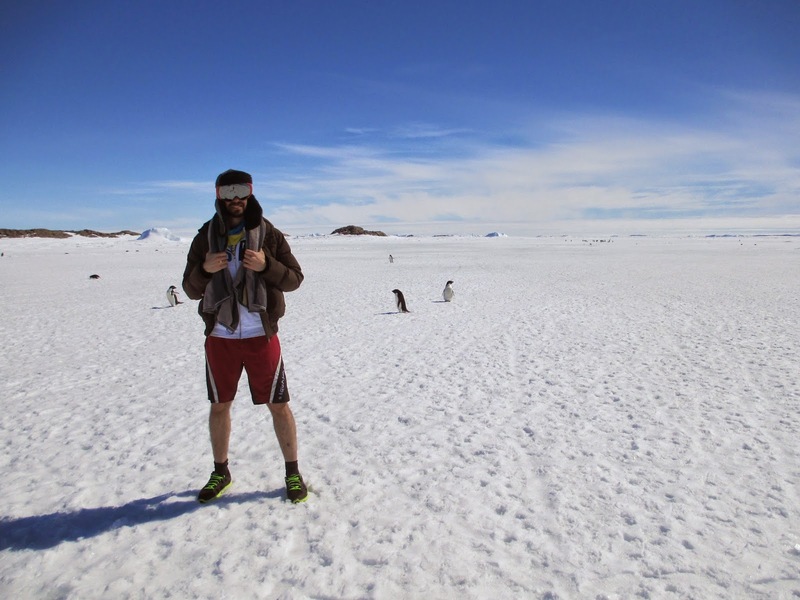 Picture #91 My second Christmas in Antarctica... I guess it’s becoming a habit now! 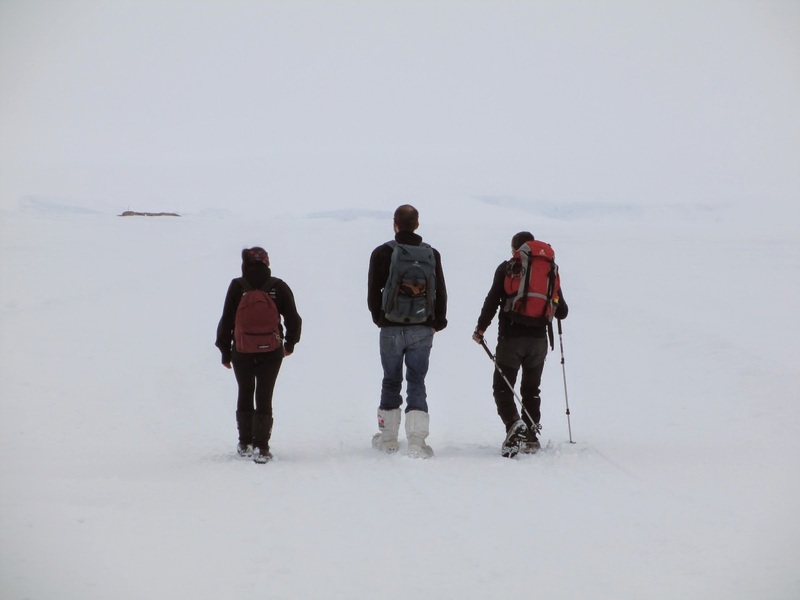 Picture #94: Marching to Cap Prud’Homme upon the frozen sea. Picture #95 through 100: Moments at DDU.